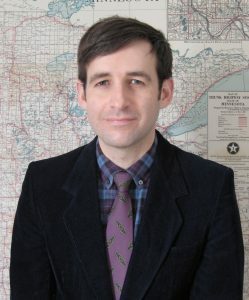 My dissertation, “Émigré Scientists of the Quotidian: Market Research and the American Consumer Unconscious, 1933-1976,” is a transnational intellectual and cultural history that examines the role played by a cohort of Central European market researchers and designers in the creation of modern American consumer culture. Each of four principal figures I consider—Paul Lazarsfeld, Ernest Dichter, Walter Landor, and Victor Gruen—was a German-speaking Jew who fled the rise of Nazism in the 1930s and established a very successful career in the United States. Although they all contributed their specialized knowledge and skills to the marketing strategies of American, consumer-oriented businesses, they worked in different fields: Lazarsfeld was a sociologist who practiced his technique, developed his methodologies, and supported his academic institutes by doing market research; Dichter was a psychologist who offered a kind of Freudian psychoanalysis as a consulting service for businesses and advertising agencies; Landor was an industrial designer and graphic artist who created attractive packages for consumer products; and Gruen was an architect who first imagined the suburban shopping center as a pedestrian space with malls and courts that fostered community as much as it facilitated commerce. Lazarsfeld, Dichter, and Gruen were from Vienna, which, in the course of their lifetimes, transformed from a liberalized imperial capital, to a hotbed of social democracy, to an outpost of fascism. Landor, meanwhile, was from Munich—the other city in which Adolf Hitler developed his virulent, absolutist form of anti-Semitism. While the work of Lazarsfeld and Dichter influenced the strategies of marketers, Gruen and Landor labored to produce the objects and physical environments that were the material manifestation of postwar consumerism. Their contributions to the material culture of American consumer capitalism were marked by distinctly European elements: the leftist ideology of Austro-Marxism; the radical experiment in social democracy that characterized interwar Vienna; emerging trends in empirical sociology; Freudian psychoanalysis; the modernist aesthetic ethos of the German Bauhaus movement; and the ideal of cosmopolitan internationalism that motivated many German-speaking Jewish intellectuals in Vienna, Berlin, Prague, and Budapest. This dissertation explores the surprising ways in which a cohort of émigrés integrated these Continental ideas and aesthetic sensibilities into the day-to-day operation of the burgeoning consumer economy of postwar America. Relative to existing scholarship, which is vexed by the problem of consumer agency and segregated into several historical genres, this thesis uses documents of the work of market researchers and designers to explain the complexity of consumers’ behaviors and motivations, and it synthesizes the methods of intellectual, business, and cultural history in the style of the new history of capitalism. My research shows that, from a business perspective, consumers’ choices and behaviors were never taken for granted; instead, consumers were intensely studied and even feared for their whims and unpredictability. “Shopping Malls and Social Democracy: Victor Gruen’s Postwar Campaign for Conscientious Consumption in American Suburbia,” in Consumer Engineering: Marketing between Planning Euphoria and the Limits of Growth, 1930s to 1970s [forthcoming from Palgrave Macmillan]; “Victor Gruen’s Retail Therapy: Exiled Jewish Communities and the Invention of the American Shopping Mall as a Postwar Ideal,” Leo Baeck Institute Year Book 61 (2016): 1–14 [awarded Leo Baeck Essay Prize, 2016]; “From the Ringstraße to Madison Avenue: Commercial Market Research and the Viennese Origins of the Mass Culture Debate, 1941–1961,” Canadian Review of American Studies [forthcoming]; “Ernest Dichter and American Market Research, 1946–77” in American Consumer Culture: Market Research and American Business, 1935–1965 (Adam Matthew, 2014); “Qualitative Capitalism and Continental Critique: Émigré Social Scientists Encounter the American Consumer, 1933–45,” Ideas in History 6, no. 2 (2012): 65–92; “Packaging Personality: Walter Landor and Consumer Product Design in Postwar America,” Australasian Journal of American Studies 31, no. 2 (December 2012): 57–70 [awarded Peter Coleman Prize].